In the month of February VIVA Gallery is hosting Ryan Meyers as our guest artist. 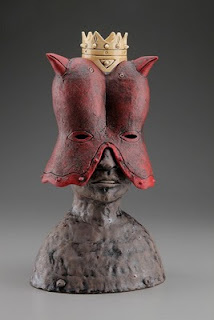 Ryan works as an adjunct professor at Viterbo University, in his studio he works as a sculptor and potter. He describes his current work as sculpture that has implied function. His process involves using a combination of thrown and hand building. Many of the pieces are fired multiple times to achieve the desired effect. 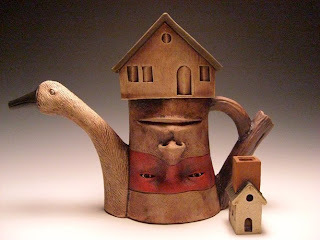 He is inspired and fascinated by the idea that his work might be used in daily rituals, such as morning coffee. February 3 is 1st Thursday for the artist reception, hear the Girls Ukulele Band perform and enjoy appetizers, sweets and beverages from 5:00 to 7:00 pm.